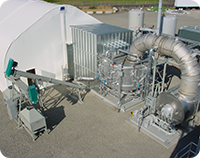 Windsor Waste Management is a market leader in the asbestos disposal and hazardous waste management industry and significant providers of wider waste management services. 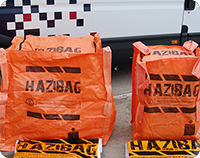 We have a wealth of experience and an unrivalled reputation in providing environmentally responsible and fully compliant hazardous waste management solutions. 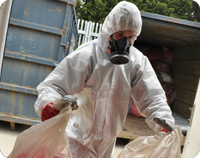 We serve HSE licenced asbestos removal firms and demolition companies of all sizes and locations, alongside organisations working within the construction and industrial roofing sector. Windsor Waste Management is part of the Windsor Integrated Services Group and through our specialised group of companies can handle any waste stream, anywhere in the UK.